It's true. High-quality candidates are getting harder and harder to find. 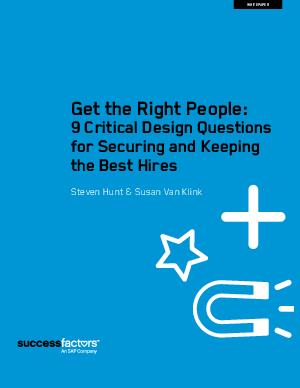 But by building your search parameters around the guidelines outlined in this paper, you can greatly increase your chances for hiring success. Get your paper now, compliments of SuccessFactors.